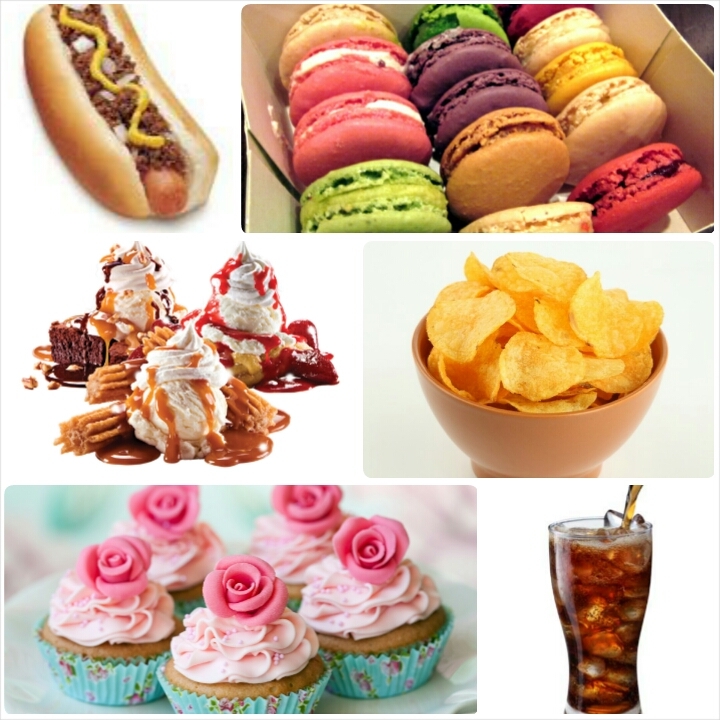 Why we crave unhealthy/junk food? And what can we do about it! Today I have an article for you on how to stop craving unhealthy food, and how to eliminate them from your diet. We all want to feel and look great, that’s probably why you are reading my blog, because you want to learn how to improve your physical self. I think a huge portion of feeling and looking good is being comfortable in your own skin and being the best person in the best shape that you can be. Heaving a healthy and strong body it comes down to 2 things: what you eat, and how much physical activity are you doing. It’s just that simple, there are no magic pills there are no short-cuts, you just have to eat the write things, and exercise, to have a beautiful toned body. We know that junk food is unhealthy. Most of us know that poor nutrition is related to heart problems, high blood pressure, and a lots of other health problems. But if it’s so bad for us, why do we keep doing it? Why We Crave Junk Food so much? According to Steven Witherly, a food scientist who has spent the last 20 years studying what makes certain foods more addictive (and tasty) than others, when you eat tasty food, there are two factors that make the experience pleasurable. There is the sensation of eating the food. This includes what it tastes like (salty, sweet etc. ), what it smells like, and how it feels in your mouth. This sensation is called “orosensation”—it is super important. When you eat something tasty (biscuits, chocolate cream, cakes or a bag of potato chips), your brain registers that feeling. The next time you see that food, smell that food, or even read about that food, your brain starts remember the memories and responses that came when you ate it. These memories can actually cause physical responses like salivation and create the “mouth-watering” craving that you get when thinking about your favourite foods. Food companies are spending millions of dollars to design foods with addictive sensations. Foods that rapidly vanish or “melt in your mouth” signal to your brain that you’re not eating as much as you actually are. In other words, these foods literally tell your brain that you’re not full, even though you’re eating a lot of calories. The result: you tend to overeat. If something melts down quickly, your brain thinks that there are no calories in it . . . you can just keep eating it forever. Dynamic contrast refers to a combination of different sensations in the same food. Foods with dynamic contrast, for example crunch followed by something soft or creamy and full of taste. This rule applies to a variety of our favorite food structures—the caramelized top of a creme brulee, a slice of pizza, or an Oreo cookie. The good news is that the research shows that the less junk food you eat, the less you crave it. If you can find ways to gradually eat healthier, you’ll start to experience the cravings of junk food less and less. Just get rid of it, and remove all temptation from your home. To keep yourself from buying more, never go to the grocery store while hungry. When you have only healthy foods to eat, you’ll make healthy choices. When you do get a craving, it’ll be too much bother to go to the store for a candy bar. Healthy substitutes are a must! If you are struggling with a craving and have to have it, try something of the same consistency or in the same food group that is a much HEALTHIER option! If you crave chocolate try to eat a small piece of dark chocolate (80-90 % cocoa), if you crave ice cream, make yourself a banana/ strawberry smoothie, you can switch your salty nuts to raw nuts, your salty, greasy popcorn to a home-made popcorn with just a little olive oil, switch your French fries to oven baked sweet potatoes and the list could go on. Keep yourself active and busy, so you’re not always thinking about just food. There is a lot more to do than eat. You know I always repeat this, but it is so so important! The water intake recommended does NOT include the water you receive from food or coffee. If you feel thirsty, this means you are already dehydrated – and dehydration can often be confused with hunger. Keep always in sight a large jug of lemon favored water, chilled herbal tea if you don’t like plain water. If it’s in front of you, you’ll drink it. Permit yourself a treat from time to time, as you establish new habits. Just be sure a treat is exactly that, just a small taste! One or two cookies, not an entire bag. If you think you cannot stop at two pieces, purchase a small package, so that is all there is. A “cheat-day” is a day in which you are permitted to have such a treat. It does not mean you can cheat all day long! So, these are my tips for today; I really hope you can pick out the essence of the things I wrote down. We know that everybody is different; some people have faster metabolisms than others, and therefore might not be affected so much by food physically. However, food also affects us mentally. When we have proper functioning cells, we start feeling better, happier & more energized than if they were malnourished. I hope you find this article helpful, please feel free to comment and send me your feedback. Egeszseges elethez az egeszseges gondolkodasi mod es figyelem szukseges! Nagyon tetszett a bejegyzesed! Greetings! Very useful advice in this particular article! It’s the little changes that will make the largest changes.